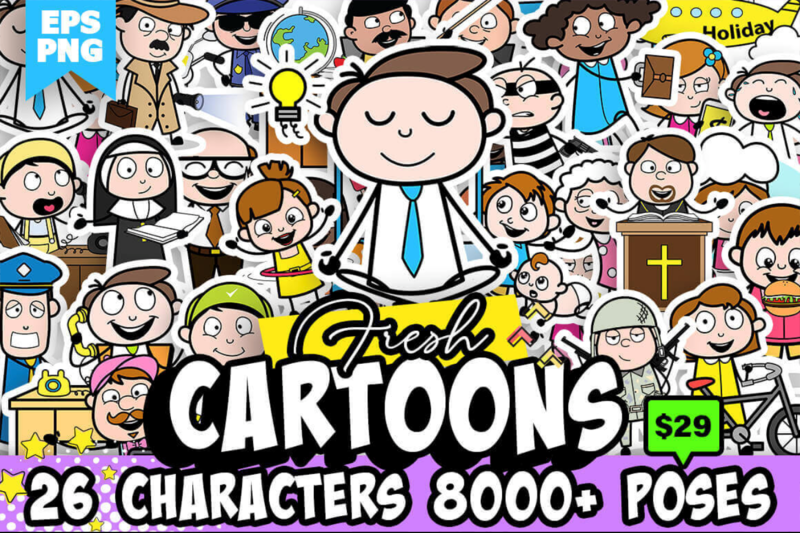 This comical collection includes professional vector illustrations of 26 different cartoon characters in over 8,000 poses. You'll get a wide range of ages, genders, races and occupations both in color and a separate black and white set. 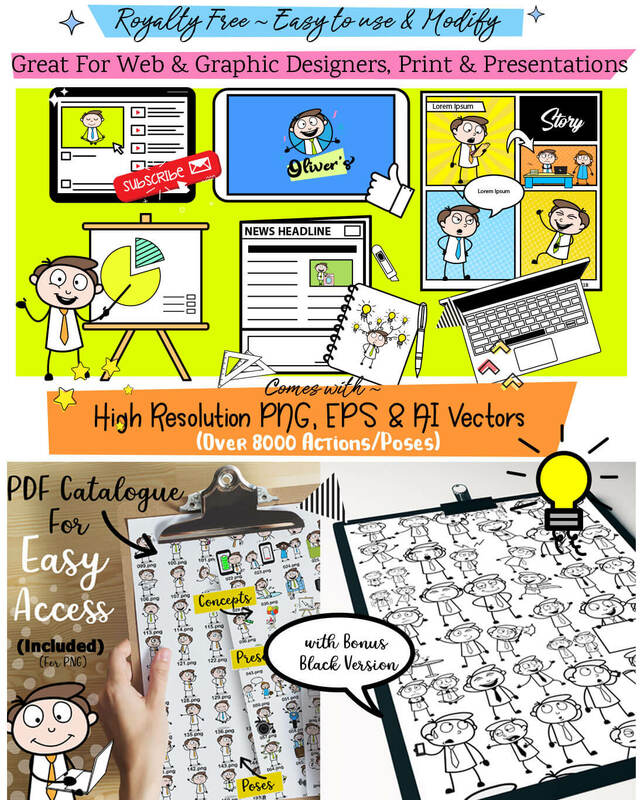 Easy to customize with the original AI and EPS files, these colorful characters are perfect for any project from presentations to comic strips. 26 unique characters - doctor, chef, priest, policeman, soldier, detective, thief, kids and more. Great asset for presentations, tutorials, Web, print, comics, spot illustrations and more. Multiple file formats - AI and EPS sets, plus PNG (transparent and individual). Bonus: includes black and white versions of each set, as well as comic strip panels, word balloons and backgrounds.